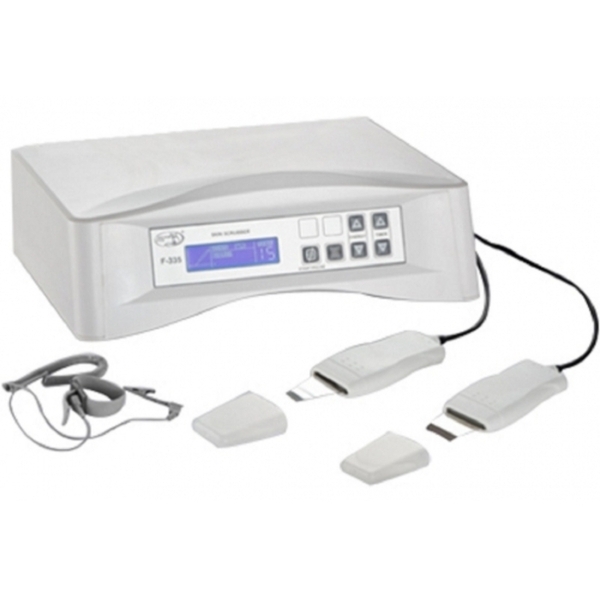 The Signa Ultrasonic Skin Scrubber Instrument for professional facial exfoliation. It comes with spatula shaped applicator. The Skin Scrubbing function is the ultimate skin-resurfacing tool and can be used on all skin types. It is as effective as microdermabrasion without the associated disposal issues of getting rid of used crystals. In addition, the Ultrasonic Skin Scrubber is not abrasive and does not harm live skin cells. It uses 28,000 pulses of ultrasound per second to deep cleanse, exfoliate, massage, lift, and infuse water soluble products such as Vitamin C deep into the skin. It gets rid of waste materials that accumulate on the skin while promoting metabolism by increasing blood circulation.